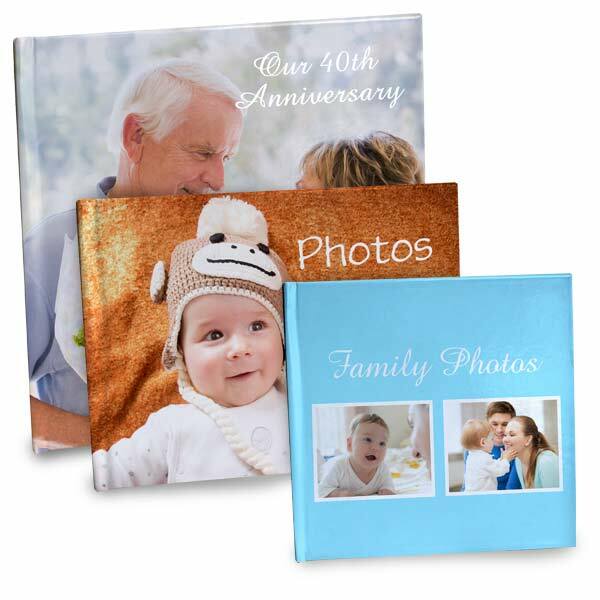 Protect and preserve your memories in a hard cover photo book. MailPix offers a wide range solid hard cover books with custom photo covers designed by you. Each photo book is made to order and beautifully bound with a professional press. Pages are stitched together and glued into the hard cover creating a quality photo book that will last for ages. Create a hard cover custom photo book perfect for your book shelf, and easily stored with all your classic photo albums.